Index continues its ascending movement and is getting closer to current maximums. 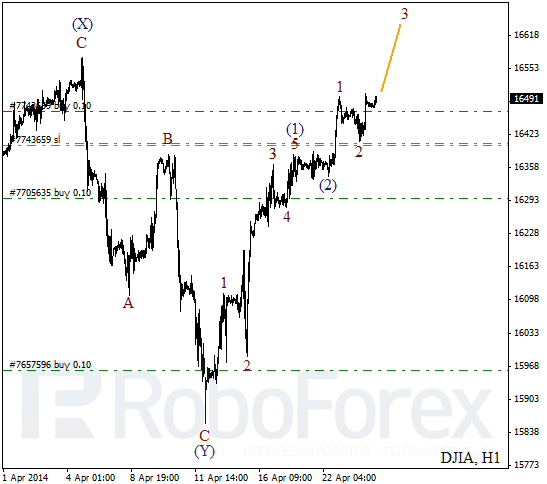 Most likely, right now price is forming bullish impulse inside the third wave. Stops on my buy orders are placed below local maximum. 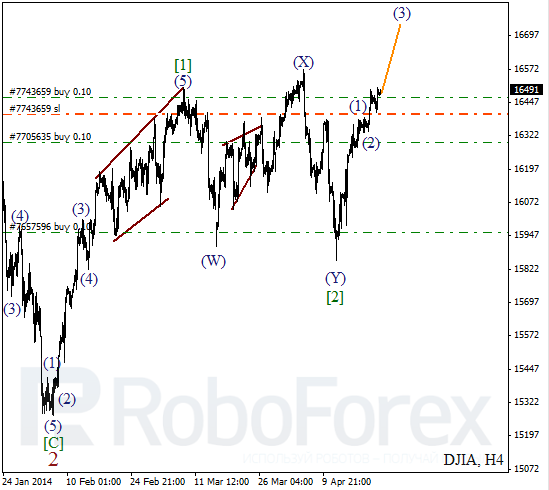 As we can see at the H1 chart, market is forming the third wave inside wave (3). Possibly, market may reach new historic maximum until the end of this week. I’ll move stops higher if price continues growing up. 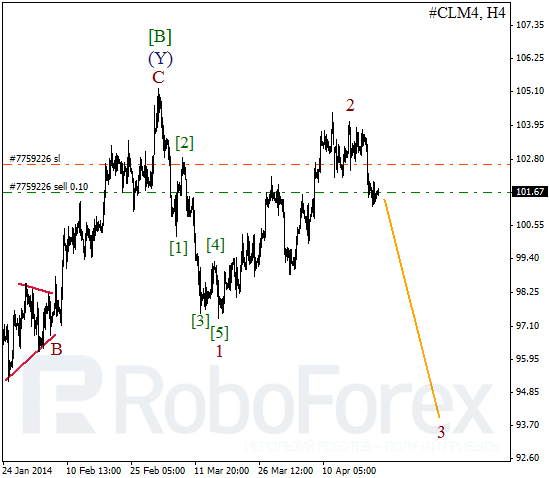 Probably, Oil is starting new descending movement inside the third wave. 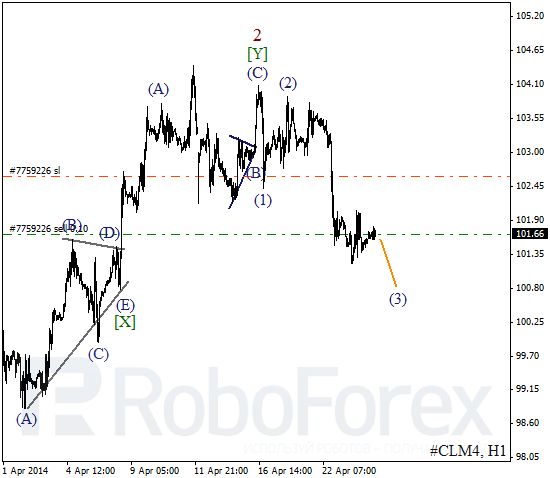 Earlier price formed bearish impulse inside wave 1 and then completed the second wave. In the nearest future, market is expected to continue falling down and reach new local minimum. More detailed wave structure is shown on H1 chart. After completing zigzag pattern inside wave [Y], price finished initial impulse inside wave (1). Right now, instrument is forming extension inside the third wave (3) and may continue falling down.